This is the Jack Sprague's 1996 Winston Cup Pedigree scheme, that He ran that year. Finally, I am starting to use renders, thanks to the user Bitbreaker. The car has got RATINGS, and some modifications (colored wheels and the Toyota's Template). 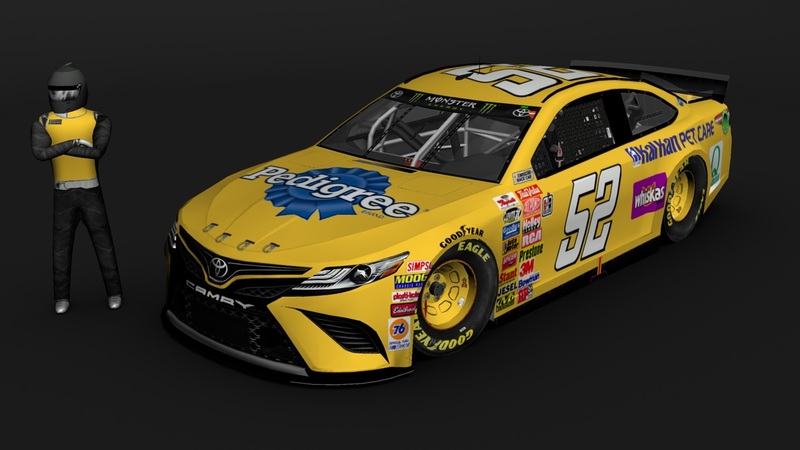 Credits: Splash And Go for the template, Rob Cage for the contingencies, The Mod Squad for the render, and Google for logos, numbers, and decals. Enjoy It! Thanks, guys! I have applied some modifications on the car, and added on Stunod Racing. Great work! You are making incredible progress and getting really good with each car that You do.Keep it up!